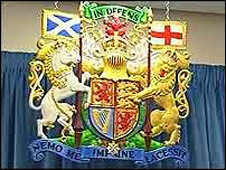 ← What Does the Neil Lennon Case Tell Us about the Issues of Sectarianism and Anti-Catholicism in Scotland? 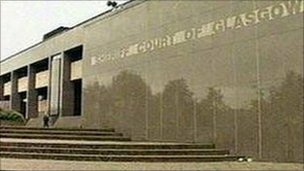 The Cadder case (Cadder v HMA  UKSC 43) created havoc last year when the United Kingdom Supreme Court (UKSC) declared that the long standing practice of the Scottish police of detaining suspects and questioning them without the accused having had the benefit of legal advice under s 14 of the Criminal Procedure (Scotland) Act 1995 breached the rights of the accused to a fair trial under the European Convention on Human Rights (ECHR). This meant that where a suspect had been detained by the police and questioned without access to legal advice, then in the absence of any waiver by the accused, any matters mentioned in the interview would not be admissible against him in a trial. The Scottish Parliament passed emergency legislation – the Criminal Procedure (Legal Assistance, Detention and Appeals) (Scotland) Act. This Act was designed to close the loophole identified by the UKSC, which in turn arose from the decision of the European Court of Human Rights in Salduz v Turkey (2009) 49 EHRR 19. 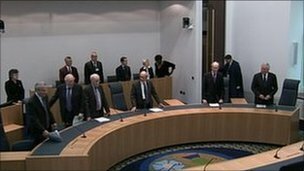 The case also prompted significant criticism by the SNP administration of the UKSC’s “interference” in Scottish criminal law. 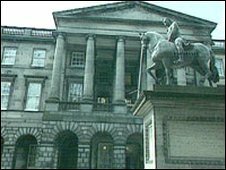 Fears that the Appeal Court in Edinburgh would be swamped by huge numbers of appeals, and that numerous cases would have to be dropped have proved to be exaggerated, but it is clear that the decision in Cadder has had an enormous effect upon the criminal justice system in Scotland. The new system put in place has been bedding in, and the UKSC has a representative sample of cases with decisions pending to clarify the effect of the Cadder decisions in cases prior to the new legislation. All seemed to be calm, at least relatively. However, on 1st September 2011, Sheriff Sean Murphy QC (who also sits as a temporary High Court judge) put the “Cadder” among the pigeons again. His decision was issued in the case of PF Glasgow v Akram which is at this point unreported, but can be found here Sheriff Murphy’s decision applies the Cadder principles to a much larger variety of cases than Cadder itself, and has potential implications across the UK. Mrs Akram was charged on summary complaint with two counts under Section 111(1A) of the Social Security Administration Act 1992, as amended, by knowingly failing to give prompt notification in the prescribed manner to the relevant authorities of changes in her circumstances as a result of which she was said to have obtained income support and housing benefit to which she was not entitled. Her solicitors lodged a Devolution Minute arguing that her right to a fair trial, under Article 6 of the ECHR, had been denied because the prosecution proceeded on the basis of certain replies, contrary to her interests, which were made by her in an interview which took place without her having the benefit of legal assistance. Mrs Akram had not been detained under s14. Instead she had been interviewed by one officer of the Department for Work and Pensions and one from Glasgow City Council at the same time. She had attended the interview, which was in connection with alleged fraudulent activity on her part, on a voluntary basis, and it was accepted that she had been told that she was free to leave at any time. The compulsion element under s14 was therefore not present in respect of this matter. She was advised that she could have legal advice but it was noted that she had not sought this prior to the interview, nor had she asked to leave the interview to obtain it. Mr McLaughlin, solicitor for Mrs Akram, referred to the cases of Salduz, Panovits v Cyprus and Cadder. He drew the principle that the suspect had the right to access to legal advice from the first stages of interrogation by the police in order to ensure that his/her right against self-incrimination was meaningful. He argued that the Interview of someone suspected of fraudulent activity by a non-police agency fell to be treated in the same way. There were no reported cases at present on the question of the Cadder principle as applied to such non-police agencies. The case of Jude, Hodgson & Birnie v HMA  Scot HC HCJAC 46 was relevant in connection with the question of waiver of the right to legal advice, it was submitted. The court had accepted that the Cadder rights to legal advice could be waived, but as per the Jude etc case there was no valid waiver for two reasons “namely (i) because the law at the time did not allow the accused to have access to a lawyer at that stage of pre-trial procedure; and (ii) because the appellant’s consent to be interviewed in each case was not informed by legal advice.” Whilst Mrs Akram was allowed access to a lawyer, she had not had her consent to be interviewed informed by legal advice. Mr McLaughlin argued that Mrs Akram had not been acting with the benefit of legal advice which she ought to have been given. Her interview therefore was inadmissible. There had been no voluntary, knowing and intelligent relinquishment of her right, which had to be established in an unequivocal manner, with minimum guarantees commensurate to its importance. The principle set out in Jude etc applied to all cases. There should be consistency rather than one rule for interviews conducted by the police and another for interviews conducted by other agencies. The procurator fiscal depute sought to distinguish all the authorities cited for Mrs Akram. They all related, she said, to police interviews. 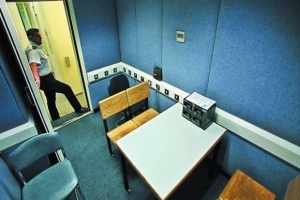 Police interviews had a compulsion element absent in non-police agency interviews. The two were not comparable. In any event, Mrs Akram was not a vulnerable person, being an adult who had had the right to legal advice made clear to her. She had chosen, under no pressure, not to seek legal advice and therefore she had waived any Article 6 rights in this regard. Sheriff Murphy’s Determination – Does the Cadder Principle Apply to Non-Police Agency Interviews? Sheriff Murphy proceeded to deal with the two issues in the case. First of all, did the Cadder principle apply to non-police agency interviews and secondly, had there been a valid waiver of her rights by Mrs Akram? The first point seems to be the principle with potentially wide applications, although, as we shall see, these might be mitigated significantly by virtue of the decision on the second part. Dealing with the Cadder point, Sheriff Murphy stated that the “ratio of the decisions in the cases of Salduz v Turkey and Cadder v HMA is that a suspect’s right against self-incrimination would be compromised if he were denied access to legal advice before being questioned by the authorities in the form of the police.” He indicated that this was clearly indicated in Salduz and in the speeches by Lords Rodger and Hope in the Cadder case. The learned Sheriff did not go quite as far as to say that this was now trite law, but his analysis makes clear that the Cadder protection must apply in these matters. Where the agency involved can effectively bypass the police in reporting a matter to the Procurator Fiscal, then such an interview must be treated as if a police interview. One can self-incriminate in such a non-police agency interview as much as one can in a police interview, and in either case the prosecution would seek to use admissions made by the accused in such interviews in court. Logically therefore, the Sheriff viewed that the absence of compulsion was not the relevant factor here, but the purpose of the interview and the use to which admissions made therein might be put. There are a large number of agencies which can be described as “reporting agencies” as used by the fiscal depute and the Sheriff. The wider issue is that these agencies are UK wide. Whereas s14 detention, as formerly applied, was only the law in Scotland, the issue of non-police “reporting agencies” conducting voluntary interviews under caution is a national one. Whilst the mechanism by which the ECHR is applied differs between Scotland and England (in Scotland under the Scotland Act and in England under the Human Rights Act) Article 6 protections apply across the board. It would therefore appear that the issue raised would be applicable across the border. Of course the requirement for corroboration in Scotland, which is not replicated in England, makes this even more important in the latter jurisdiction. In Scotland, one cannot generally be convicted solely on one’s own admissions. In England, without that requirement for corroboration, admissions under caution could be enough, on their own, to result in a conviction. With the UKSC having determined this principle, it would not be a surprise to see the specific issue addressed by Sheriff Murphy in this case being refereed to the UKSC for an authoritative determination. Indeed it has already been suggested that, due to the cross border implications, the Advocate General for Scotland will seek to refer the matter to the UKSC. Sheriff Murphy’s Determination – What is the Position Regarding Waiver? The learned Sheriff noted that it had repeatedly been made clear to Mrs Akram that she was entitled to have legal advice, both in the letter inviting her to attend at the interview, and during it as it proceeded. He said “I further consider that these excerpts show that she clearly and obviously declined to seek such advice at a time when it was open to her to do so, apparently at an early stage in the interview”. He considered that it was clear that Mrs Akram had waived her right to legal advice. In the present case Mrs Akram had specifically declined legal advice. This meant that the Pishchalnikov case fell to be distinguished as here the suspect had repeatedly asked for a lawyer, but been refused, prior to making a confession. The Sheriff then considered the “circular” argument proposed by Mr McLaughlin for Mrs Akram to the effect that, in the absence of legal advice, a suspect could not make a valid waiver of their rights, as they did not know and understand what those rights were. Here he considered the Jude case referred to above. He noted that that case was decided based on the rules in place prior to the Cadder decision and the 201 Act being passed. At the time there was no right recognised to have legal advice prior to an interview by the police, so accordingly the police did not advise suspects of what ultimately, as per the UKSC in Cadder, turned out to be the correct position, namely that there was such a right. In such a case there could only be an implied waiver, as no one could expressly waive a right not known to them. He then decided that (a) the Cadder rights were applicable, but that (b) Mrs Akram had waived them and therefore her alleged admissions were admissible and the case should proceed. We now wait to see if this case will be appealed to the High Court. Firstly, I imagine that, whether with this prosecution or another, there will be a case determined by the Appeal Court in Scotland or indeed the UKSC in an effort to determine this point. Are non-police agencies bound by Cadder rules? On the basis of Sheriff Murphy’s analysis, which of course is persuasive, but not binding, there is little doubt that such rules do apply. Agencies such as the Department of Work and Pensions, local authorities in connection with various functions, Her Majesty’s Revenue & Customs and many more would fall within that description. All sorts of cases, such as those relating to breaches of the benefit rules, tax evasion, environmental heath infractions, planning offences and violations of the rules of Company law or Bankruptcy, where the investigations are carried out not by police, but by a “reporting agency” would appear to be covered. On that basis, and therefore across the UK, will there turn out to be many cases where prosecutions need to be dropped or convictions quashed? I must for now leave that question open. Secondly, what are the implications for Legal Aid, both in Scotland and elsewhere in the UK? 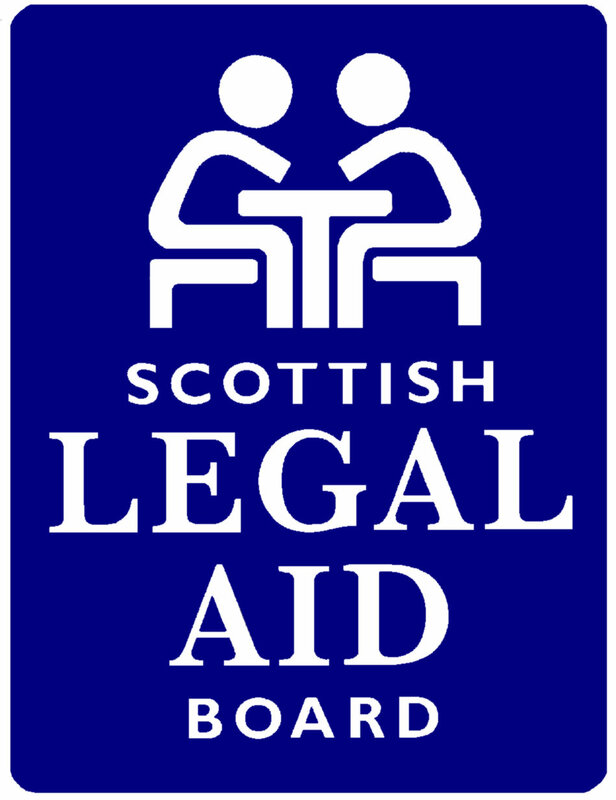 Under the new post-Cadder legislation in Scotland the Scottish Legal Aid Board (SLAB) set up a much criticised scheme for providing people who are detained for questioning by the police to receive free legal advice from a police station duty solicitor, being an extension of the existing Duty Solicitor scheme. A spokesman for SLAB is quoted by the Herald as saying that assistance was available to those questioned by outside agencies but would be considered on an individual basis. After all the disputes between the solicitors who practise criminal law in Scotland and SLAB over the new police station duty advice, I am sure the last thing SLAB want is to have to extend this in some way to cover interviews with other agencies. For one thing, SLAB’s budget is sorely pressed just now, they tell us, and a new layer of “Duty Solicitor” activity would result in resources being taken from elsewhere in their budget. But following Sheriff Murphy’s principle, if a police interview and that with a non-police “reporting agency” are so similar as to require Cadder protection in each case to render them ECHR compliant, can the Scottish Government justify not extending the free “Duty” legal advice to “reporting agency” interviews? As the arrangements for Legal Aid in England are not something of which I have much, if indeed any, knowledge, I leave to wiser people than me if there would be Legal Aid implications outwith the Scottish jurisdiction. Thirdly, is the waiver decision reached by Sheriff Murphy a “get out of jail free” card for the prosecution, reducing the impact of the Cadder principle in practice? The situation where there is police detention involves the suspect, often without any warning, being apprehended. There is no opportunity to take legal advice prior to interview and a suspect cannot opt to leave the police station to seek such advice. The new post-Cadder regime in Scotland allows the suspect to seek and obtain such advice, even if over the telephone, prior to interview unless the right is waived. However in most “reporting agency” cases, the suspect would attend, as did Mrs Akram, on a voluntary basis. The practice of the DWP, as I understand it, when investigating an allegation of a fraudulent benefit claim is, at the appropriate moment in the inquiry, to invite the suspect to attend. The letter doing so makes clear that the suspect has the right to seek legal advice prior to the interview. As was seen in the Akram case, the interviewing officers made it clear to Mrs Akram that she was there voluntarily and that she could call a halt to the interview at any time if she wished, including if she decided as matters progressed, to obtain legal advice. Is it likely therefore that, in many of these “reporting agency” cases the court would determine that, even if the Cadder principle applied, there was in fact a waiver of the suspect’s rights if they choose not to see a lawyer? It would seem at first sight that that would be the position. Each case, in theory, would have to be dealt with on its individual merits and therefore it is possible that, as in Mrs Akram’s case, the suspect is deemed to be sufficiently “informed” to waive their rights, whilst with other suspects, perhaps due to their age, level of education, or mental capability are not determined to have the capacity to reach an informed decision? One way, of course, to prevent such issues arising would be for some “Duty Advice Solicitor” scheme to be set up for these cases, where the decision not top take advice would be made against a clear backdrop of information about the suspect’s rights, but even then, we can, in certain cases, come back to the “circular” argument of how can a person be informed in their decision to waive their right to legal advice when they have not had legal advice as to the effects of not having legal advice! As with many cases which cause the accepted position to be questioned, it is easy to make dire predictions of the disasters to befall the justice system as a result. In most cases, once the implications are fully assessed, it turns out that the feared effects are diluted. It is, as Premier Zhou Enlai of China is reputed to have said about the effects of the 1789 French Revolution, “too early to tell” if the Akram case will be as disruptive to the system as was Cadder, if not more so. What it does show is that the Scottish courts are vigilant in their responsibility of ensuring that the Scottish system becomes ECHR compliant, and it is striking in how many ways, both large and small, it has been found wanting over the years. Hopefully the Carloway Review, presently ongoing, might hopefully see a way to bringing the criminal justice system in Scotland to a position where there is full ECHR compliance and where the press will no longer take the chance of decisions such as this to complain about “Europe” interfering with our law. I read with interest this decision and comments. My company, Barnsley & Barnsley Consultants, presently provide training and consultation on investigations and Disclosure to Specialist Reporting Agencies. I have been warning them of this scenarion since the CADDER decision was reached last year. However the majority fail to see that they are dealing with investigations similar to the Police. They quite clearly are. The current system adopted by the majority of SRA’s is wholly inadequate, both with regard to suspect interviews and revelation leading to Dislcosure. Lord Carloway and his team were not even looking at the SRA issue in the wider context until we raised this at his workshop held in Glasgow this May. Thankfully they are now. The majority of SRA’s are also treating the new Criminal Justice & Licensing (Scotland) Act 2010, with regard to Disclosure, with little regard. Most think this has nothing to do with them and the ones that do are of the opinon that revelation and disclosure only applies to investigators within their agensies or authorities. They fail to recognises that the principles of Disclosure relates to all relevant material held by the organisation, not some departments. Hence the reason the Social Work Depts, Chief Executives and other areas of the organisations are paying no regard to the possible consequences. Watch this space for similar decisions relating to their investigations, as they are not adopting the principles of disclosure nor the COPFS Code of Practice. Yet again it seems that those with the power to do something about a situation wait till it blows up, rather than listening to the wise advice of people like yourself. And, as with the Cadder case, will we get rush job legislation to plug the gap, and politicians blaming lawyers and the European Convention on Human Rights? It all seems like a very sad case of deja vu. Well done for pointing this out to Lord Carloway’s team too – it would have made a mockery of much of the vital work he is doing if such a major area had been overlooked till too late. As you suggest, I will “watch this space” with interest. Does anyone know whether the Akram case has indeed been referred to the Supreme Court, as seems to have been expected? I stumbled across this whilst reading cross-over articles via RTC 🙂 however I find it mind-boggling that SRA’s should ever have considered themselves exempt from what has quickly become the over-arching principal for Police interviewing arrested or detained persons. Surely some of these SRA’s must have legal departments or recourse to legal opinion or scrutiny before submitting reports to Procurators Fiscal across the length and breadth of Scotland? Cadder became a nightmare for the Police, but the subsequent processes have quickly been established and evolved through (in our case) something in the order of five or six generations worth of Solicitor Acess Recording Forms (SARF), becoming embedded in a relatively short period of time. All it should have taken is for someone like George Barnsley within an SRA to liaise with their local Police force and say “can we have a look at your adapted post-Cadder procedures please?” and the problem would be solved, HOWEVER considering The Crown Office and Procurator Fiscal Service were continually issuing updated guidelines to the Police during this bedding-in period, what was to stop them issuing the same guidelines to the 50+ SAR’s that exist in Scotland and across the UK? COPFS must bear the brunt of the reponsibility in my view, but that doesn’t mean that heads of SAR’s aren’t culpable either. This is George Barnsley. I am not a member of an SRA. I am a retired police officer specialising in Disclosure and Cadder implications. I provide training on these matters to SRA’s therefore cannot drive their policies or procedures. The problem with a number of SRA’s (There are over 200) is that their legal departments are unaware of these issues as they are too busy supporting the Chief Executive etc and do not pay attention to investigations. the SRA’s are no different from the police, other than the polie having powers of detention and arrest. Cadder and the emergency legislation and guidelines only relate to the police, not the SRA’s. The COPFS have not provided any national guidance other than that given to the police. The SRA’s get conflicting advice when the COPFS are asked for guidance. I am a private company not linked in any way to SRA’s. I am of the opinion that exactly the same guidance should apply across the board. I have trained a few SRA’s now however they only put those on the courses that actively investigate and report to the Crown. What the SRA fails to understand is that the recent legislation on Disclosure relates to the material retained by the Authority, not the Fraud investigator or Anti Social Behaviour Dept. Indeed one recent group asked me about emails received from councillors trying to influence investigations!! What a scenario that could possibly create? With regard to Disclosure, the Local Authority SRA’s don’t think that this applies to the Social Work Dept. The material they hold links to serious criminality, abuse and life threatening situations, as the media continually highlights. The lawyer access situation is incredible. It is quite clear the only difference is that fact that the Police have statutory power of detention and arrest. Other than that the interview, under caution, is exactly the same. The SRA’s invite people in to their premises, interview them under caution, on a lot of occasions without solicitor access or offer of a solicitor, and use the excuse that people are free to leave at any time. On a number of occasions at training I have played devil’s advocate and ask the question….”..how can this person be free to leave at any time when they are in the middle of the building with security doors and swipe card access!! They need to have the physical barrier removed for them. I would argue that this verges on a detention. In addition, when they “invite” someone in to their premises they ask nothing about welfare or medical requirements. Heaven forbid someone collapses or takes not well! I haven’t even started on Responsible Adults and Foreign Nationals!! Would it surprise you to know that very few even know about AKRAM? None of the solicitors or managers attend the training either because they don’t need to know about this sort of thing. It is unfair of course to say they are all like this. There are a few exceptions and I do mean a few. It will take something to happen before they all st up and take notice. In my opinion that may not be far away. Thanks again and glad to hear that the muster room still keeps up the tradition of good old debate and discussion.